At Indian Prairie Public Library (Darien, IL), we began a programming series in 2015 targeting adults in their 20s and 30s called #LibSocial and, despite the PEW Research Center’s report that Millennials are the largest age group using the library, our attendance was low. We quickly realized that traditional marketing wasn’t going to be enough. So we decided to reach the demographic where they are: on their devices and in their inboxes. Using LibraryAware, I created an email newsletter targeted directly at people in this age group, spotlighting #LibSocial programs, our GenLit book club for 20-30somethings, and select new releases. Two and a half years later, the #LibSocial eNews now goes out to over 5700 readers and provides 16% of attendees. What sets #LibSocial apart from the average library eNews can be found in the pictures, titles, and descriptions advertising upcoming programs. I’ve written all of the content with a combination of Millennial humor, memes, nostalgia, and pop culture references. The key to interacting with 20 and 30-somethings is to throw off the chains of what a “professional” newsletter should look like and embrace fun, laid-back, and even ridiculous descriptions. I know my audience and their interests and I can use that to promote the library and prove we’re a hip, happenin’ place (that’s how kids these days talk, right?). To reach 5700+ subscribers, I began by collecting emails from attendees at my programs, but ultimately I moved to a limited opt-out system. Working with our circulation department, I was able to import the emails of every cardholder in our district who fell between the ages of 18 and 40, all of whom had consented to receiving communication. If they don’t want these emails, they always have the ability to opt-out. Some do, but compared to the ones who stay, the number is fairly insignificant. Two tricks that helped me make this newsletter successful were changing the “sent from” line to appear as “Jez from Indian Prairie Public Library” and writing in first person, both of which made the process seem more personal. My readers know the eNews isn’t automated, but has a real person behind it, which has made some readers more comfortable attending programs, because they felt like they already knew someone there. The purpose of the #LibSocial newsletter is to connect with our 20-30something patrons, advertise the #LibSocial programs, GenLit Book Club, and new books, but ultimately I don’t feel that I can do any of these things correctly if I don’t catch the reader’s attention first. Because of this, my true goal is to make people smile or laugh. If they recognize a meme or something funny, they may read on to see what other jokes are hidden and learn about the program at the same time. If you’re looking to start marketing directly to or offering programs specifically for Millennials, relax, have fun with it, and break all your marketing rules -- and if you want advice, email me at jezl@ippl.info or find me on Twitter. 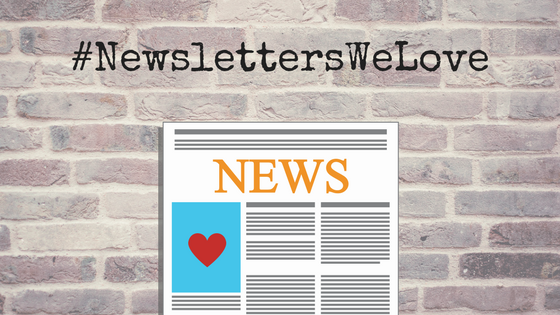 Want to hear more from Jez or learn more about reaching special audiences in your community with newsletters? Watch the recording of our webinar. Jez Layman is an Adult Services Librarian at Indian Prairie Public Library in Darien, IL. When she's not on the reference desk, she's planning programs for 20-30somethings for IPPL's popular #LibSocial group or teaching classes on job hunting. She has a deep love for audiobooks and has a spreadsheet for every occasion.